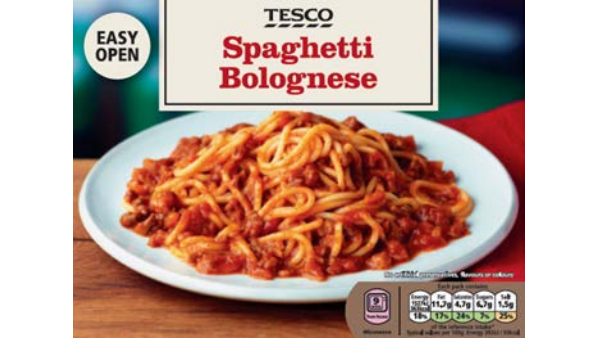 Supermarket giant Tesco is recalling its frozen Spaghetti Bolognese after it emerged that the product contains egg, which is not listed on the label and presents a possible health risk to anyone with an allergy or intolerance to egg. The FSA is advising that anyone who has bought the product and has a known allergy or intolerance to egg should not eat it; the product should instead be returned to the store from which it was purchased for a full refund. Alongside the recall, Tesco will display point-of-sale notices in their stores alerting customers to the issue. They will also be contacting relevant allergy support organisations, which will pass news of the recall on to their members. Egg allergy is known to be much more common in children, with most affected persons outgrowing the condition by adulthood. While Allergy UK reports that ‘70-80% of children with an egg allergy can eat plain cakes and biscuits containing egg’, this should be first tested under specialist medical supervision.